Math) based material these fourth graders learn strengthens their academic performance. Our Summer Youth Intern Program, now in its sixteenth year, offers high school students professional training as archeological recorders right on the Mesa. 2. Your donation supports MPPP’s vast program to discover, record and archive the thousands of petroglyphs that have not yet been found. 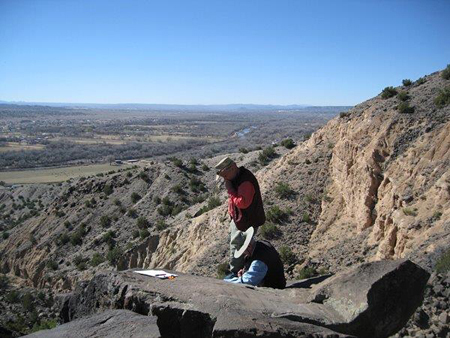 Our volunteers have recorded more than 55,000 images and we suspect there are a total of 100,000 images on the Mesa, making Mesa Prieta the largest petroglyph site in New Mexico. 3. Your donation provides for the processing and archiving of all the information collected on the Mesa, making it part of the New Mexico Historical Records Advisory Board so that it will be available to researchers and other important national and international archives. 4. ﻿﻿﻿ Your donation enables MPPP to provide tours and public access to the Mesa. Our efforts are a step towards greater knowledge and ﻿﻿﻿a sense of cultural ownership and pride in the surrounding Pueblo and Hispano communities. Although most of the Mesa is privately owned, MPPP provides access to the 156-acre Wells Petroglyph Preserve, which has the highest concentration of images on the Mesa - over 11,000. 5. Your donation aids in the protection of this unparalleled archeological treasure. MPPP has an active Site Steward program on the Wells Petroglyph Preserve and continues to strengthen protection elsewhere. 6. 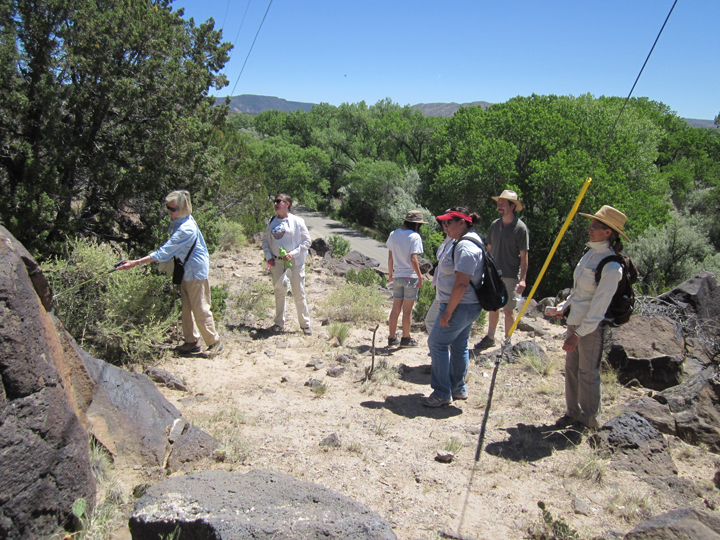 Your donation helps expand research into petroglyph images to discover their relationship and importance in the context of Puebloan and Hispano cultures and history in Northern New Mexico. this site, the largest petroglyph site in New Mexico, and an unsurpassed showcase for Archaic, Ancestral Pueblo and Hispano history and culture, is deserving of this classification. 8. Thanks to your generous donations, in 2016 we have a full time project director and assistant project director. With this increased staff and many volunteers we will be able to carry on our vital work. Your continuing and generous support allows us to determine a positive future for this regional and national treasure.